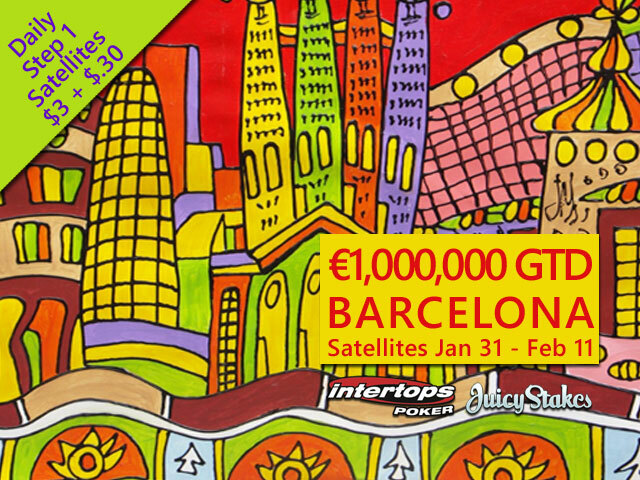 will be a staggering &#8364;10,000,000 GTD prize pool for the Main Event. Beginning on Wednesday, Intertops Poker and Juicy Stakes Poker will run satellites to the Open $1M GTD which is the opening event. some ridiculous money to be won,&#8221; said Intertops&#8217; poker manager. they can buy in at any stage of the three-tier tournament. offer a selection of slots and table games from Betsoft, Worldmatch and Lucktap. and Juicy Stakes Poker Promotion Room. I just love this city! I need to go back one day ! My son was just there in November, he loved it!